Research has found the omega-6 fatty acid, gamma-linolenic acid (GLA), to be very beneficial for reducing inflammation, optimizing skin health, PMS and menopause symptoms. 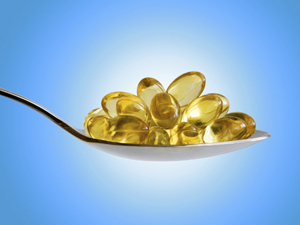 There are two main groups of essential fatty acids: omega-3 and omega-6. Proper cell function depends on a balanced intake of these fats. Even though our bodies cannot produce these fats, they are considered “essential,” as they are required for maintaining health. The most beneficial essential fatty acid is omega-3. Omega-6 fatty acids are found in meat, refined vegetable oils and processed foods. We have an overabundance of these omega-6 fatty acids in the American diet. Excess omega-6 fatty acids and a deficiency in omega-3 fatty acids are contributing factors to such conditions as heart disease, type 2 diabetes, arthritis and depression. Research has found the omega-6 fatty acid, gamma-linolenic acid (GLA), to be very beneficial for reducing inflammation, optimizing skin health, and alleviating PMS and menopause symptoms. GLA is found in evening primrose oil and borage oil, and works better when taken with omega-3 fatty acids. The best sources of omega-3 fatty acids are found in cold water fish such as salmon, sardines, anchovies and herring. These fish-derived omega-3 fatty acids are eicospentenoic acid (EPA) and docosahexaenoic acid (DHA). The plant-derived omega-3 fatty acid (from flax seed) is alpha-linolenic acid (ALA). Current research shows that EPA and DHA are the most therapeutic and that ALA is rarely converted to either EPA or DHA. DHA is particularly beneficial for improving thinking, memory, depression and mood balance, as it has a direct effect on brain and nerve cells. DHA is also important during pregnancy and breast-feeding, and is required for the brain, eyes, and nervous and immune systems during fetal development and for the following two years. EPA benefits cardiovascular, immune and joint health. Research has shown that EPA reduces triglycerides, improves circulation and has an anti-inflammatory effect on the body. The anti-inflammatory effect of fish oils helps protect against heart attacks and reduces symptoms of arthritis, asthma, inflammatory bowel disease and autoimmune disorders. To benefit such conditions as arthritis, asthma, heart disease, type 2 diabetes, depression, inflammatory bowel disease and autoimmune disorders, it is recommended that a therapeutic dose of 1 to 4 grams of omega-3 fatty acids be taken daily. Choose a fish oil product that is fresh, is in the natural triglyceride form and guaranteed to be free of environmental contaminates. In the United States, dietary supplements are regulated as foods, not drugs. This means that approval by the FDA is not required before supplements are sold. Also, the way companies make supplements is not regulated. Different batches and brands of supplements are not all the same. Please consult your naturopathic doctor about which brands are most reliable. Dr. Denise Quance Grobe is a naturopathic physician at the Center for True Harmony Wellness & Medicine in Mesa, Ariz. Her services and expertise include women’s medicine, naturopathy, acupuncture, homeopathy, botanical medicine, IV and injection therapy. 480-539-6646 or info@trueharmonywellness.com. Reprinted from AzNetNews, Volume 27, Number 3, June/July 2008.